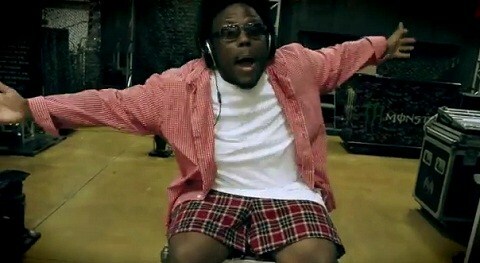 What happens when you leave Krizz Kaliko to his own devices inside the Strange Music HQ? Just about the wildest things you can imagine. Krizz Kaliko’s “Dancing With Myself” music video finds the genius roaming the halls of Strange Music HQ in his boxers, toting a cannon of a gun, and taking over the boss’ office. With a special cameo by Strange Music CEO Travis O’Guin, “Dancing With Myself” is a hysterical look at Krizz Kaliko’s goofy persona. Released as part of Krizz Kaliko’s #KaliFridays, “Dancing With Myself” is the latest in a series of videos from the upcoming Kickin’ & Screamin’ album. From sneaking off with merchandise to vandalizing posters, Krizz Kaliko’s outrageous behavior had fans everywhere laughing right along as they watched to see what Krizz Kaliko would do next.